Bonita Springs Screen Repair - No job too small. 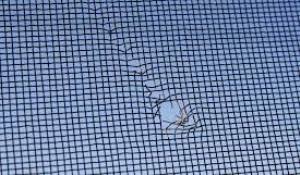 Affordable screen repair service rescreening window screens, lanais, screen doors and pool cages in Bonita Springs FL. Fast screen repair service and quality screen repair. 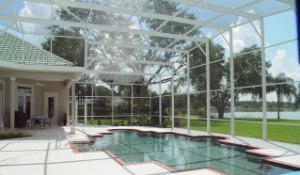 Bonita Springs Lanai & Pool Cage Screen Repair - Complete rescreening or just a single panel. Offering 18/14 Phifer Glass screen or one of the specialty screens available. Super Screen, No Seeum Screen, Florida Glass & Solar Screen. We are proud of our organization, its excellent reputation, and its philosophy to provide full service and satisfaction every customer. Quality Lanai & Pool Cage Screen Repair in Bonita Springs at the prices you can afford! Bonita Springs Screen is proud to provide Screen Repair , Rescreening, Screen Door Repair, Lanai Screen Repair & Rescreening Service. The very best quality products & services at affordable prices. Bonita Screen has several choices of screen material to choose from. Replacing single screens or complete Lanai & Pool Cage rescreening service in Bonita Springs FL. Call for fast screen repair. Bonita Springs Screen Door Repair - Lanai & pool cage Aluminum metal screen doors in white or bronze. We can repair your existing screen door with new hinges, rescreen, screen door locks & screen door closers. Call us to fix your screen door.